MPS (Make Promotion Simple Ltd) is a family run and managed company which supplies printed and embroidered workwear, teamwear and uniform. We would like to thank you for dropping by our website. Whether you are a sole trader wanting a few printed hoodies or branded fleeces, a large company needing embroidered polo shirts for staff uniform or a sports team wanting personalised clothing to create a sense of belonging, we can help find the garment that is right for you and your business, all with your own logo to make you stand out from the crowd. We also supply uniforms for pre schools, primary & secondary schools. This can either be directly to the parent or supplied to the school in bulk where garments can be used as a method of fundraising. There are thousands of garment & colour combinations to choose from so if you need a little advice on what to choose just send us a quick message or pick up the phone and we will be happy to help. 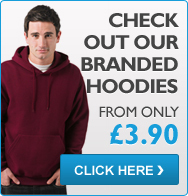 1) Choose your product - You might want embroidered polo shirts, printed hoodies or a selection of fleeces with your logo on, browse our huge range and select according to your requirements and budget. 2) Choose your sizes, colours and logo application method (e.g embroidery or printing) on each product page, select the quantity of each size and colour, and upload the artwork that you want us to put on your garments. 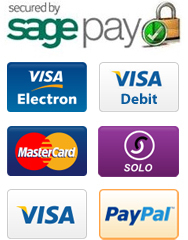 3) Check out using your credit facilities (if available) or pay by credit / debit card. 4) We take it from here. We will provide a proof of any new logos that are to be embroidered and send you a copy wherever possible to make sure that you are happy with it. We will then apply the logo to the garment, usually within two weeks, and post to you via our couriers. 5) You wear your new uniform with pride! Please send us a photo of your team if you have any, we love seeing them.